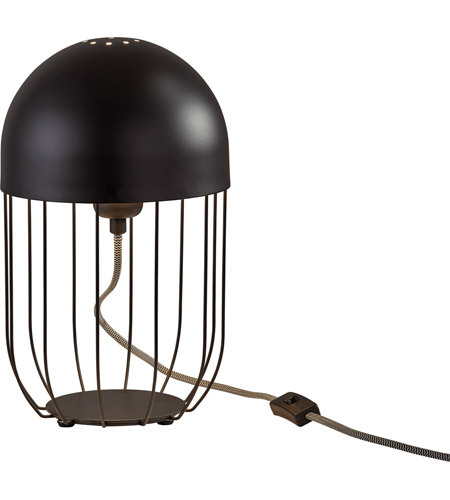 A contemporary source for ambient lighting, the Lionel Table Lantern looks great styled by the bedside or on the desk. A dome shaped shade diffuses light downward to create nice, mood lighting and also has multiple holes in the middle to allow some uplighting as well. A matte black finish all around allows this style to fit nicely in a contemporary, modern, or industrial setting. A black and white fabric covered cord is the perfect finishing touch.